Our friends Chion and Emily came over for brunch last weekend. 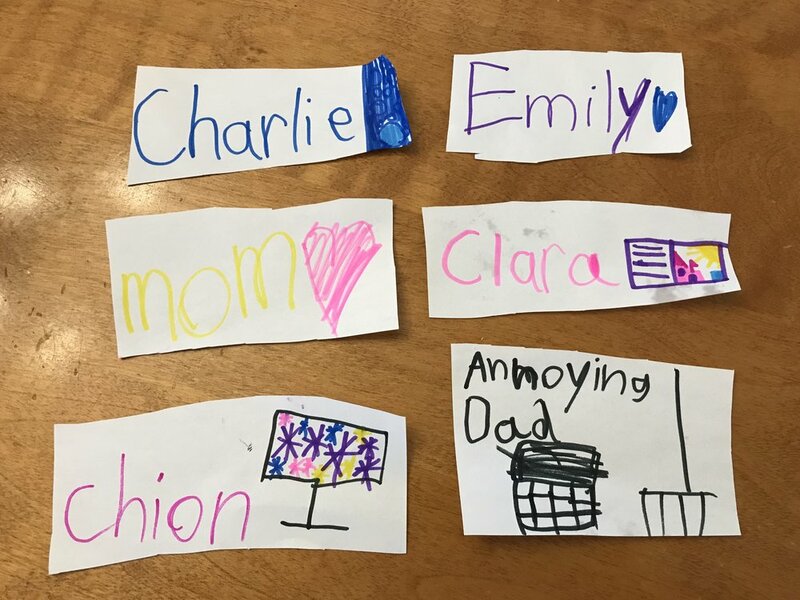 Clara likes to make name tags to indicate where each person will be sitting at the table. They are typically colorful and adorned with small, decorative elements. As you can see, one of these name tags is not like the other. Clara tells me that the two pictures adjacent to my name are a computer ("...because you're always working on a book") and a rake, for which she could give no explanation. Always nice to feel like a welcomed guest at your own table.